So this would obviously be awesome, because Amy and Tina killed the Golden Globes last year in a way that they haven’t been killed in some time, and moreover, they looked like they were having FUN. A quick sidebar, in view of recent performances and criticisms therein - this is now the new standard. I can’t believe this needs to be articulated, but it does: If you are going to attempt something in public, you have to fulfill at least two of the three following tenets. - Be desired/anticipated in your role. - Look like you’re enjoying yourself. 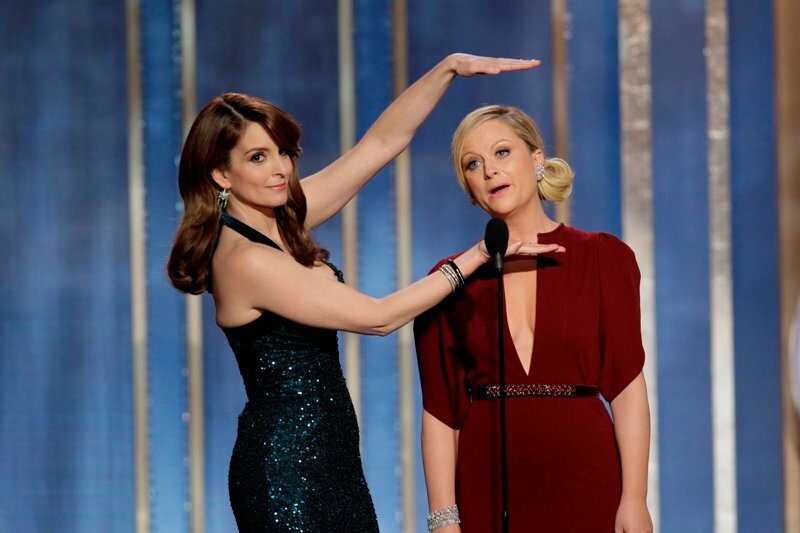 So Amy and Tina mostly won the Globes last year for having fun while doing it. If you need a refresher, check this out. But there are reasons for them not to do it, as well. I’m kind of conflicted. Pro: It makes it more fun for me. Obviously I want to see women up there having a great time and doing it two-on-one takes a lot of pressure off. They can be legendary and not have to live up to last year, while waiting for the hype to die down so that they’re magical when they do it in 2017. Amy and Tina have both gone through transitions recently – Tina is now a show creator (though she’s still dining out on stories of her daughters) and Amy is a single woman. There are new comedic personas to investigate, and I feel like the Golden Globes is a unique way to do that – you can kind of be as unflattering as you want when you’re glammed up that much, which is the glorious bait-and-switch of women in comedy, if they get it right. Con: Not enough to snark on? Correct me if I’m wrong, but it seems like early awards contenders this year are going to be slightly less available for mass mocking than last year. I mean, sure, there’s going to be a Taylor Swift joke to be had (no, no Miley Cyrus, that’s too low-hanging for Poehler & Fey), but is there going to be a closeup of Tommy Lee Jones and his disapproving jowls? Will they have to step lightly around Oprah? Amy & Tina have it super-rare: they’re good together and separately – so they’re best off spending their secret sauce kind of intermittently, leaving us – and really I mean me – slavering for more when I can get it.